Please like our Facebook page to get regular updates of the activities of all Partners in Action Ministries! Visit our website at www.partnersinaction.org. Contract for Community Center signed! Sapele, Nigeria We are excited to announce that a lease has been signed to open a Community Center in Okuovwori Village in Nigeria. The Community Center will enable us to better understand the needs of the people in the Village, create a gathering spot for Community members, enable access to computers and the internet, and provide training opportunities. The Community Center will also house a new Sewing Operation and an Organic Farm for training community members in farming techniques. Have you ever imagined what it would be like to transform a Community. Come and learn with us. To learn more about our goal for building sustainable enterprise in Nigeria click here. On June 18-21 Partners in Action CEO Jerry Bowman and Chairman of the Board Grant Sardachuk were invited to attend Acton University in Grand Rapids, MI. The event was sponsored by the Acton Institute, a 25-year-old Christian Think Tank that focuses on human flourishing especially in the area of poverty alleviation. Acton University was an opportunity to deepen our knowledge and integrate philosophy, theology, business, and development – with sound, market based, economics. Acton University brought to one location 80 of the world’s leading thinkers and teachers in economics, philosophy, theology, development, business and intellectual history. Combined with this distinguished faculty, attendees had access to over 120 courses of the best content available. This year there were 1100 attendees from 71 countries. PIA’s goal is always to be great stewards of our donor’s resources. Through Acton Institute and their Bible Study Poverty Cure we are learning how to move away from aid and move towards creating sustainable communities. 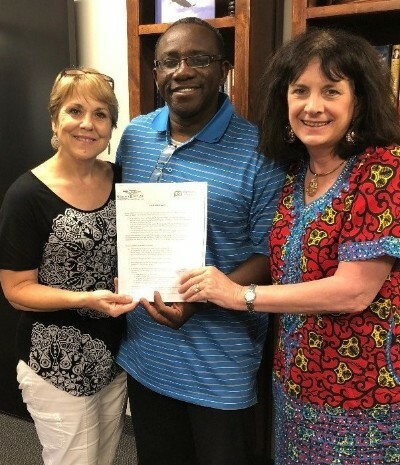 On September 3rd Gwen Martinez and Jean Bowman will begin a two week trip to Zimbabwe and Zambia. 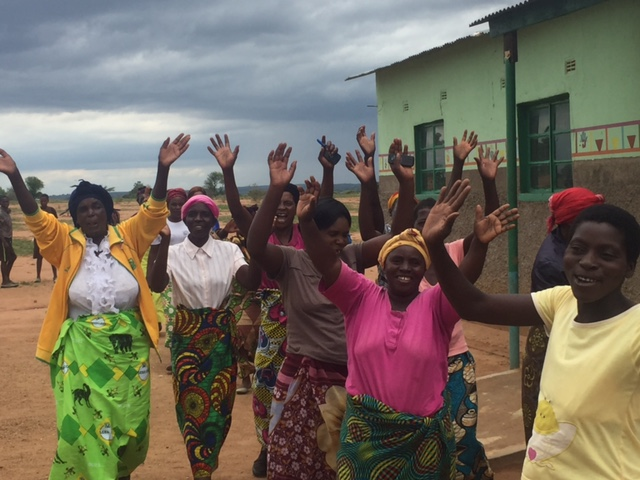 Gwen, who was born and raised in Zambia, is a member of the Partners in Action Board. The PIA team will be joined by Dale Bolton, Executive Director of Organics4Orphans (O4O), a Kenya-based partner organization that provides training in organic farming methods and the use of food as a source for nutrition and fighting disease. O4O recently provided training to the PIA Nigeria team and will be training three members of our Zambia team in September. Also joining the group is Dave Meyers who, as Executive Director of ZimZam Global, provides Pastoral and Leadership training in Africa and India. The team will start in Zimbabwe with meetings to discuss agribusiness opportunities and to visit the Ebeneezer School. They will then travel to Zambia to review current out-grower cow-pea operations and a recently funded sewing enterprise. The team will perform a Needs Assessment for community development in the Namwala District and also visit the Namwala Veterinary Laboratory to review a program opportunity in partnership with Iowa State University. 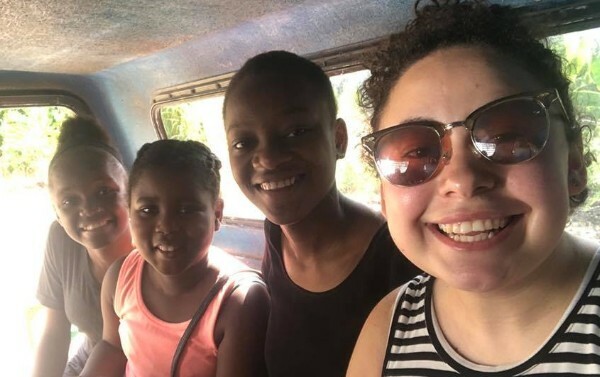 University of Washington student, Veronica Miranda spent 8 weeks in Haiti interning with Future Generations International Missions (FGIM). While there she worked on a Project Plan to move all operations to a four acre site recently acquired by FGIM. With a total cost of $1.5m this ambitious project will house 64 orphans and establish a private K-12 school for 375 students, along with a Church, gift shop, coffee house, and other sustainable enterprise. When asked about the highlights of her internship, Veronica reported that she enjoyed working with residents of Tent City (an extreme poverty area originally settled as a displacement camp after the 2010 earthquake that devastated Haiti) to develop new products to offer in the FGIM Gift Shop. This allowed her to provide stable jobs to people from the community while sharing the gospel, because “at the end of the day that’s the reason why we do what we do”. Veronica also created the opportunity for friends and donors to serve the girls from the FGIM Orphanage by creating Amazon wish lists for each girl. At home she hopes to find individuals who will help fulfill the needs of these girls. The goal of Partners in Action is to develop sustainable economies that enable individuals to move out of extreme poverty. We believe that every individual was made in the image of God and has the ability to thrive if given the opportunity. Our hope is that we can continue to provide opportunities that allow all of God’s people to flourish.